Volunteers scurry around the Dotsero Mobile Home Park KaBOOM! playground construction site on June 30. DOTSERO — As of Tuesday, July 3, kids who live in Dotsero can while away their summer hours at a brand new playground where a dismal dirt patch once stood. 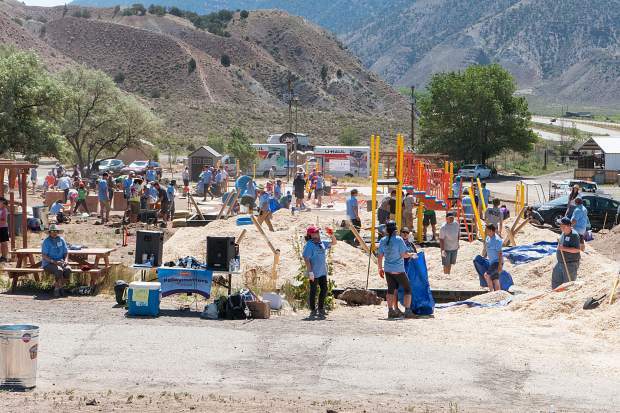 All it took was one day, 169 volunteers and the concerted efforts of the Colorado Health Foundation, Western Eagle County Metropolitan Recreation District and an organization called Kaboom! to change their neighborhood. The Colorado Health Foundation provided grant dollars for the project, saying the Dotsero playground fit in nicely with its mission to provide health outreach for all Coloradans by engaging with communities across the state through investment, policy and advocacy, learning and capacity building. Kaboom! is a national nonprofit dedicated to giving all kids — especially those living in poverty — the childhood they deserve through great, safe places to play. Kaboom! has collaborated with partners to build or improve more than 17,000 play spaces, engaged more than 1.5 million volunteers and served more than 9 million kids. Late last week, crews completed site prep and the kids who live at the Dotsero Mobile Home Park were watching with intense interest. “I had kids coming up to me on Thursday and Friday and asking, ‘When do I get to play on it?’” said Scott Robinson, marketing and communications manager for WECMRD. The actual playground build day was Saturday, June 30. “When I got to the site around 6:30 a.m., it smelled so good. It turned out about half of the residents of the Dotsero Mobile Home Park were making breakfast burritos for all of the volunteers,” Robinson said. As volunteers arrived, they were assigned to work crews. There were workers from all over the country, with a large contingent from the mobile home park. 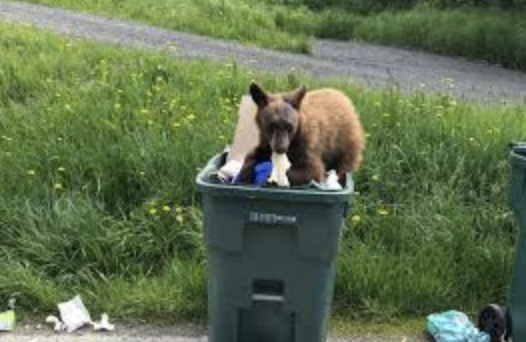 Robinson noted all three county commissioners — Jeanne McQueeney, Kathy Chandler-Henry and Jill Ryan — volunteered at the site, and Eagle County Manager Jeff Shroll served as a crew leader. Temperatures soared to near the 100-degree mark, but the heat didn’t deaden the crews’ spirits. Some of the biggest smiles were on the faces of the kids who were swinging, climbing and jumping around the playground this week. Watching the project come together gave them a bit of Christmas training, because while their present was finished on Saturday, they had to wait for three days for the concrete to cure and the park inspection to be conducted. The playground was ready for use Tuesday, July 3. With the playground now open, phase two of the project will happen sometime in the next couple of weeks when an adjacent artificial turf play area will be installed. What’s more, Robinson said the reach of the Kaboom! 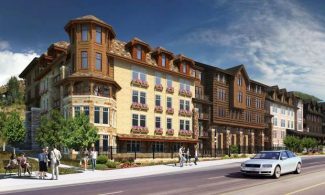 project will extend beyond the Eagle Valley. He noted there were a couple of volunteers from the El Jebel area for the June 30 build day. They wanted to see how the project came together at Dotsero because, later this summer, Kaboom! is building another playground in the southwestern corner of Eagle County. Additionally, Robinson said the playground project was an opportunity to build relationships. 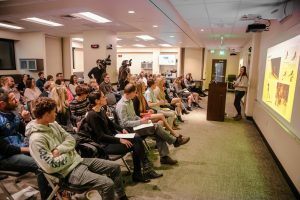 “It was really cool to see the Dotsero community be so engaged with the project, and they were a bit taken aback to see the community support for them,” he said.